Most people take “Build something people want” to mean “Pick a problem to solve and solve it well.” This is not sufficient to build a world changing company. Why have previous attempts at this idea failed? What enabling factors have emerged that enable you to succeed today? There are a lot of smart people out there. At least five of them have already tried to solve the problem you’re trying to solve. But you haven’t heard about any of these people. Betting that other people are less capable than you is a bad idea. For you to be massively successful where multiple startups before you have failed, something in the world has to have changed. If the world has not changed in some fundamental way, you too will fail. How do you do this looking forward? I’m going to use my company, Spool, since I think about this every day. Spool lets you save any URL and cache it locally on all of your devices. It’s like a TiVo + personal web crawler for any media. Why do we think now the right time for Spool? Why have previous startups in this space been unsuccessful? How many of these will enable to Spool get big? I have no idea. But there are a lot of trends here that expose new opportunities, and Spool sits right in the middle of all of them. To succeed, you have to clearly articulate “Why now?” You need to have a thesis about why the world is different today and be able to back that up with some data. As a corollary, if you cannot clearly articulate why now is the right time for this business, and why 2, 3, 5, or 7 years ago were not the right times — then you are probably going to fail just like the other very intelligent entrepreneurs who previously tried to solve this problem. Here are a few examples of companies that weren’t novel ideas but succeeded after the world finally changed or caught up to the idea. In addition to enabling technology or consumer behavior changes, they executed on a new distribution channel. Foursquare was an overnight success 10 years in the making. Dennis Crowley has been predicting the coming of location based services since feature phones. He built Dodgeball in 2003 and sold it to Google in 2005. He vested. Left. Started Foursquare. 7 years after he started Dodgeball, he finally got the idea to work. Why? Because the iPhone came along. GPS became standard in smartphones (thanks to a variety of influences including the US government requiring it in every cell phone). And consumers became comfortable with broadcasting information about themselves publicly on the Internet. He saw the world had finally caught up to his idea thanks to the iPhone and social networks. Social video sharing sites had been tried many times before. It was going to happen at some point and dozens of sites were funded to pursue the opportunity. But YouTube piggybacked on the back of a perfect storm of trends. Laptops started shipping in 2005 with built-in webcams, so no setup was required by the user and Flash could access these as a standard peripheral. By 2005, playing a video finally didn’t require any downloads. Broadband penetration finally got to a point where video was streamable. And MySpace enabled embedding of videos and YouTube doubled down on easy embedding as their distribution strategy. By the time MySpace realized YouTube was massive and tried to ban YouTube, it was too late. Meanwhile, Google launched Google Video. Google didn’t pursue embeds, focused on making sure copyright violations didn’t happen instead of relying on the DMCA, focused on non user generated videos at first, and required a download to do video uploads. They missed all of the “Why now?” insights that YouTube nailed. Casual games have been a part of the Internet since the very beginning. But no one aggregated enough user attention to make a massive business out of it until Zynga came along. Zynga managed to piggyback on the Facebook API, the launch of the NewsFeed, and the lack of spam controls in the early days of the Facebook Platform. They spammed the hell out of the News Feed, acquired millions of users, funneled them around to a bunch of other games, and when Facebook shut off spam in the NewsFeed the window for anyone to build a meaningful Zynga competitor was closed. Along the way, they bought as many users as they could because they knew that the value was in having all of your friends playing games. Facebook (spam and ads) was the perfect distribution channel for games. Brilliant move. Stating “If now is not the right time, then people didn’t want it” is a cop out. Almost everyone interprets “Build something people want” to mean “Pick a problem and solve it really well.” If you want to think this way, consider “Why now?” a better way to figure out what people want may want. This applies to startups where you need a small group of smart people executing well. 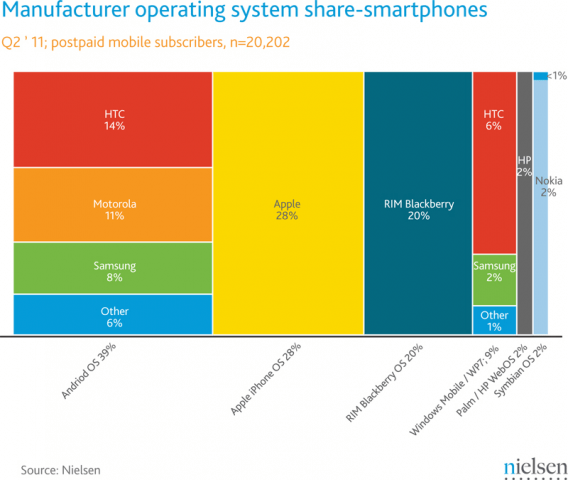 Launching a smartphone requires manufacturing and capital at large scale. Large organizations can mis-execute, build bad products, and screw up because politics makes people do funny things. If only large companies have tried, you should ask if a startup can even build the right product, and if it can it’s fair to ask if the right product was actually ever built. This applies to startups that want to get to massive scale. This does not apply to businesses that make less than $5 million in revenue. This is not about timing a market. This is about a framework of thought to evaluate the opportunities that are presented to you as an entrepreneur. If you see an opening that clearly answers the “why now,” then you can capitalize on it. This is not about multiple startups competing against each other in a short window of time. This is about comparing a startup today against a similar startup from an earlier point in time. Determining which of Startup A or Startup B will do better today is a different question. However, you can still ask whether or not today is the right time for either of them to try. “Why now” does not say that successful entrepreneurs happen to be in the right place at the right time. Why Now?” reinforces how much execution really matters. Not only do you have to come up with a brilliant insight, build a product that people want, but you have to build your company with a deep understanding about how the world was, is, and will be. Doing all of this is HARD. This framework came out of several discussions with friends. I don’t recall who distilled the framework into the brilliantly simple “Why Now?” but it was probably either David King or Ashvin Kumar. Thanks to Curtis Spencer, Christine Tieu, Aditya Koolwal, Chandra Patni, Yin Yin Wu, and Elad Gil for reading drafts of this and providing input. Chegg – A company that is in education and sells to consumers. A $1 billion valuation and growing quickly. But, Chegg sells you the same textbook experience for much cheaper. It’s a great consumer focused business with offering real savings to students. Note that even in 2011, the “Netflix of education” is booming because of the equivalent of its DVD (physical textbook) business. Digital, personalized learning online or tablet based, interactive, social textbooks aren’t anywhere to be found. University of Phoenix – $6 billion market cap. They make it easier to get a degree because it’s convenient and subsidized by government backed loans. Consumers make the decision but ultimately the government is footing the bill. They aren’t a consumer company and they are a marketing machine. They are a company that makes it easy to get the same quality diploma that you would get at the local college. They don’t compete with Harvard, they compete with the local university that costs more and only has on campus night courses. They weren’t an overnight success either; UofP was started in 1976 and they IPO-ed in 1994. Kaplan – they didn’t get huge because of their test prep business, which is a consumer business and (arguably) delivers educational value. They became huge because they started following the University of Phoenix model for Kaplan University. Again, the primary value they offer is not quality of education, but convenience. K12 – they are not a consumer, online education company. They sell to school districts and their model revolves around being able to drive down costs for school districts in their high cost students — special needs, gifted, rural, etc. They have built an interesting consumer business overseas — in the Middle East and Asia. TutorVista – started by offering online tutoring to Western students using tutors in India. All you can eat for $99/month or so. They burned millions on search engine marketing and were able to build a business that generated eight figure revenue — nice but not enough to IPO on. So they pivoted and opened education centers in India and were acquired for $213 million by Pearson. A $200+ million acquisition in India is unheard of. Tutor.com – started a decade ago to offer online tutoring to the masses. Never went mainstream, even after 5 rounds of funding. They’ve built a niche business that survives through deals they’ve struck with various government bodies — libraries, schools, etc. GlobalScholar – started by the CEO of Drugstore.com, tried initially to do a direct to consumer play. Realized it wasn’t working and bought an electronic gradebook company that works with schools and was sold to Scantron that has great distribution with schools. Don’t believe that building a better product will make you successful. Delivering something for cheaper will. Even if that cheaper thing is lower quality. This is usually repugnant to most well-educated entrepreneurs. Don’t start in developed, western countries because that’s where large, Internet businesses have been built. Asia is a much better education market if you want to target consumers. Don’t take VC funding because the growth curve in your education business will not live up to VC expectations early on. Take angel money from people who want to make a difference in education. Then take private equity money once you’ve figured out how to get to $10 million in revenue on your own. Even better, don’t take any PE money and grow it on cash flows. Successful education businesses are often not capital constrained. Don’t target suburban or urban, middle class users with disposable income. You’ll build a niche business that can’t go mainstream. Target poor students in the US and get to charter schools who are desperate to try new things. Target families in China and India where a family will put down half of their monthly income on education. Or target people who really value education and will pay 10x more for something that is higher quality. That’s where there are big businesses to be built and a willingness for new solutions. Don’t expect a quick flip or quick growth. Building a large, successful education company will take 20 years. The growth curve will not be like an Internet technology company until you hit $10+ million in revenue. Then things will ramp quickly because you will have identified your core market and built the beginnings of a brand; the education industry is small and people will know if you deliver real value.